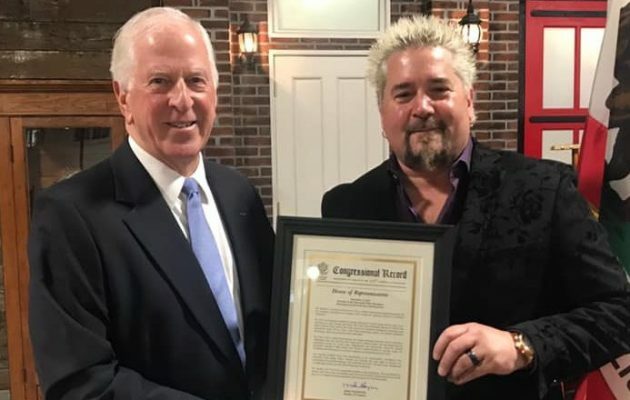 Congressman Mike Thompson and Celebrity Chef Guy Fieri. Photo courtesy of Mike Thompson. North Bay Congressman Mike Thompson honored three local heroes on Sunday. The 2019 Public Safety Hero of the Year Awards were handed out to Captain Don Ricci of Santa Rosa for his life-saving efforts, Cotati dispatcher Cristina Montoya and local celebrity chef Guy Fieri. Guy was selected because of his efforts to feed the first responders while they fought several of Northern California’s wildfires.